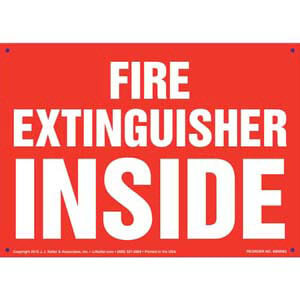 Glow-in-the-dark sign points down to location of fire extinguisher. 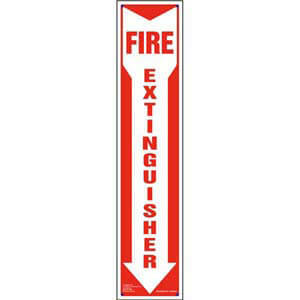 Fast ship available on our most popular signs. 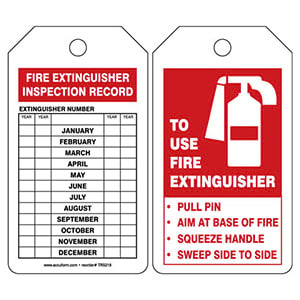 See Overview below for details. 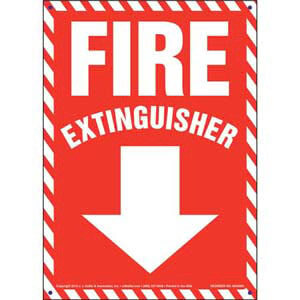 Arrow points down to location of fire extinguisher. Fast ship available on our most popular signs. 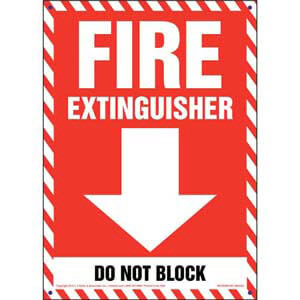 See Overview below for details. 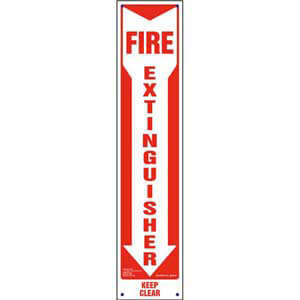 Truck sign alerts drivers and other motorists that a fire extinguisher is inside the vehicle. 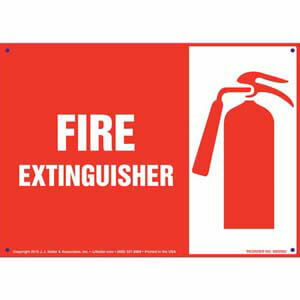 Helps individuals easily locate fire extinguisher. 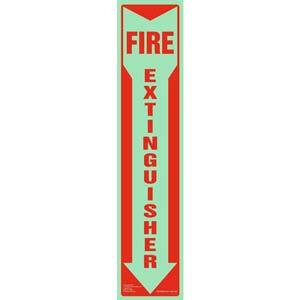 Fast ship available on our most popular signs. See Overview below for details. 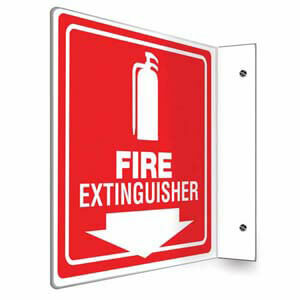 Projection sign helps individuals with fire extinguisher identification, location, and direction. 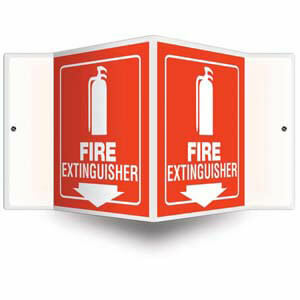 3D projection sign helps individuals with fire extinguisher identification, location, and direction. 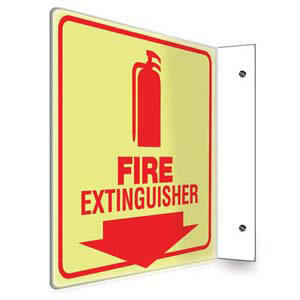 Projection sign glows in the dark to aid individuals in fire extinguisher identification, location, and direction. 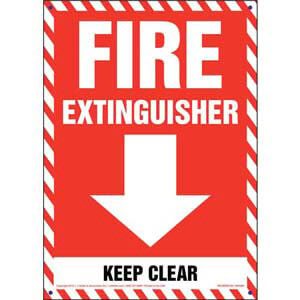 Facility sign clearly identifies location of a fire extinguisher and reminds individuals to stay clear. 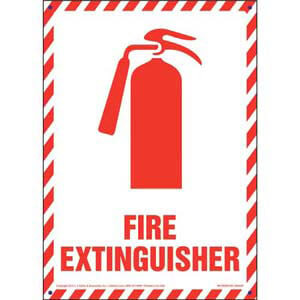 Helps identify proper fire extinguisher procedures. 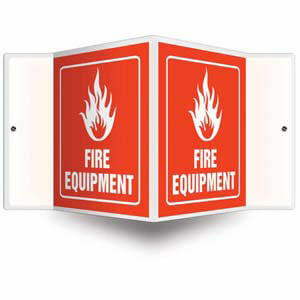 3D projection sign helps aid workers and vistors in identification, location, and direction of fire equipment.